Drawing on the Victoria and Albert Museum's magnificent collection, one of the finest in the West, this illustrated survey examines the development of the Japanese sword in an historical and social context from the eighth to the twentieth century. The development of the sword from its origins as one of the world's most effective cutting weapons is seen in the context of the emergence and development of Japan's ruling military class, the samurai, to whom it was indispensable both as a weapon and symbol of power. The book also deals concisely with the techniques used in the making of the Japanese sword and the associated terminology. 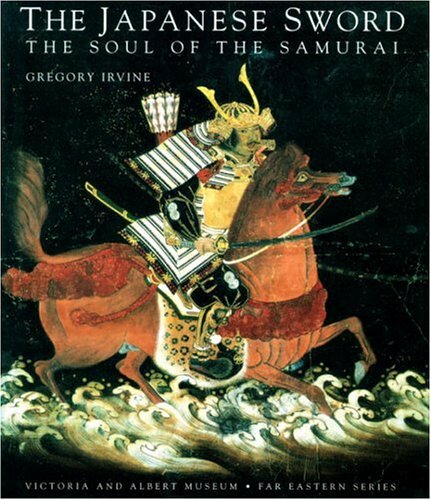 In addition to weapons from the V&A's own collections and unusual prints showing graphic depictions of swords in action, illustrations include comparative material from other museums such as Japan's Tokyo National Museum which has one of the best and most well documented collections of Japanese swords in the world. Gregory Irvine is curator in the Far Eastern Department of the Victoria and Albert Museum, responsible for the collections of Japanese metalwork, particularly arms and armor. Formerly a curator in the Department of Japanese Antiquities of the British Museum, he joined the V&A in 1990 and began work on a database of the museum's extensive sword collection, collected since 1865. As well as extended periods of research into collections of swords and armor in Japan itself, his other research areas include the philosophies and social context behind the use of weaponry in Japan's historical context. 7. Japanese Sword: Soul Of The Samurai (Victoria & Albert Museum : Far Eastern S.